Earlier I posted a recipe for butterscotch banana cake. The cake is made by first caramelizing the sugar, then cooking bananas and butter in it. This process deepens the flavor and takes the humble banana cake to a whole new level! I did the same thing with carrot cake. 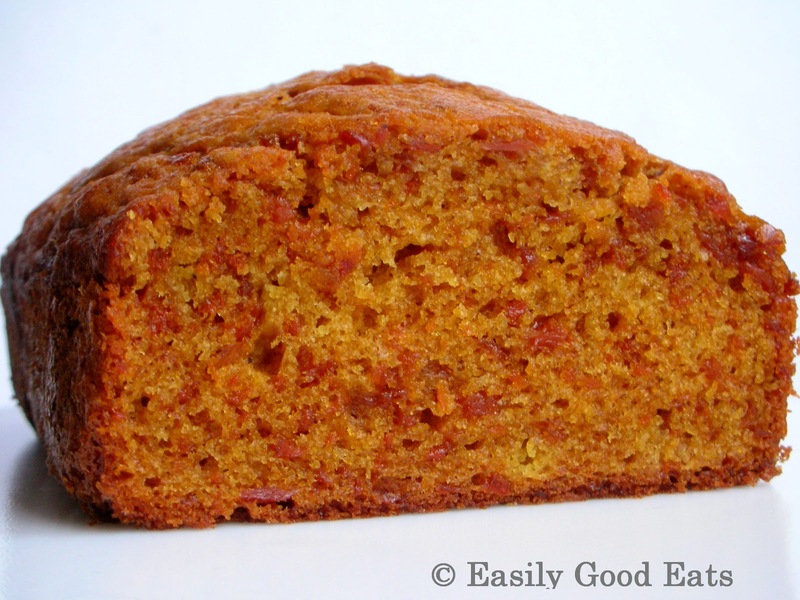 The carrot cake had a much deeper flavour, it is really light and moist. And there is no smell and only a mild taste of carrots, in case you are not a big fan of carrots. I prefer my cakes without icing or frosting. As a result the cake probably looks a bit naked and dull. The saying "its not the looks that count" applies to cakes as well. I like icing, however I would rather have two or more slices of cake without icing than have one slice with icing. Its a preference thing. Of course I can have two or more slices with icing, and given the opportunity I probably will, but that is another discussion. If you insist on icing, the usual suspects like cream cheese frosting should work well. 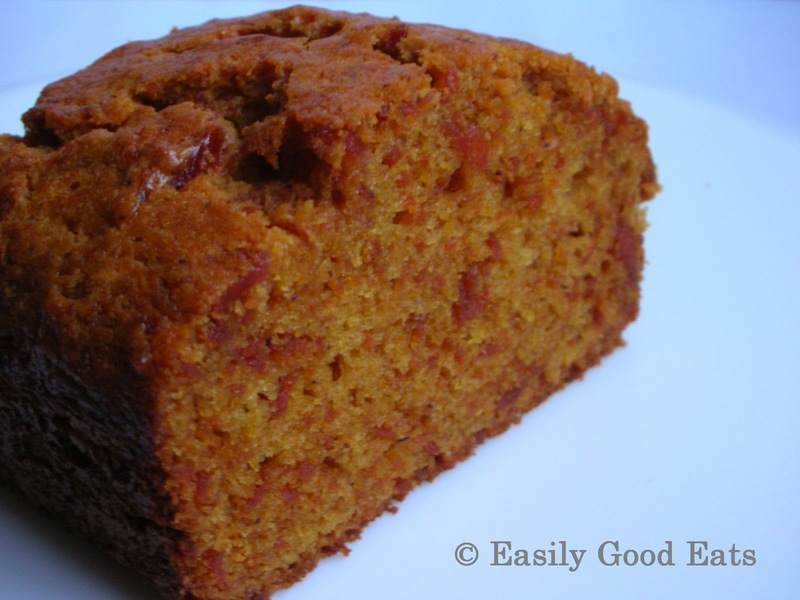 You can also add dried fruits and nuts to the cake, if you prefer. Recipe adopted from With a Glass, Alton Brown and my butterscotch banana cake recipe. Add ¼ cup sugar and 1 tablespoon water to a saucepan. Bring to the boil and cook on high heat until the sugar turns dark red. Don't let it burn! In a bowl beat ¼ cup sugar and eggs until the sugar dissolves and the mixture turns pale. Add to the carrot mixture together with milk and beat well. Sift the flour, cinnamon, baking powder and salt. Fold the flour mixture into the carrot mixture. Your cake looks beautiful (and even better than with an icing!). What a pleasure to learn that you have taken some inspiration from my recipe too! I am very intrigued by the butterscotch twist... It sounds really good. Thank you for the kind words, and for the recipe. That is a very interesting twist on a carrot cake. Sounds wonderful. No need to cream butter and sugar! I like! Just plonk everything in a pot and mix ... my favorite kind of recipe! Like I said before, I love the golden color and I'm imagining the butterscotch flavors in this .... lovely! Caramelized carrots sound dreamy! What a delicious cake! I would like to try a bite of each of those, then finish off with a slice of the carrot cake! Thank you for the positive feedback, glad it turned out well. i made it and it was so delicious , thank you so much for this recipe . Hi, This cake looks so good. I was just wondering if i could use oil instead of butter?? Absolutely. If you are using oil only, don't add any oil under step 3 but add it under step 4 (to the egg mixture). You cannot bake butterscotch without butter but the cake with oil will still be very delicious. Yes, it uses plain flour. If you want to use self raising flour, you can exclude the baking powder from the recipe. No problems. I hope it turns out great. I just made your recipe and I'm told it is delicious. I'll get a piece of it later. I added just under a cup of raisins to it, by special request. big hit tonight. Thanks for the feedback. Good to hear it was delicious. Hei! I'm making it already for second time i two week. It's amazingly delicious! 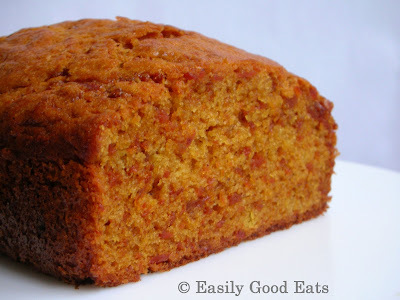 I just used less sugar and added finely cut apricots! Thank YoU! made it about 2 weeks ago!it was delicious..definitely gonna make it again! Made this on Thursday and had it last night (Friday) at dinner with friends, it went down really well. We gave it a sugar/rum glaze to give it a shine and had vanilla ice cream on the side. Thank you. Thank you for the feedback. I am glad you liked it. That glaze sounds fantastic. I suppose it would be even better with ice cream and rum on the side also! The most perfect carrot cake I ever taste. A bit of change: tasty organic carrots, brownsugar, coconut oil (instead of butter), and hymalayan pink salt.Tonight I will test plain yogurt instead of eggs. Hello. The recipe looks amazing. Looking forward to trying it out very soon. A few questions before trying. (1)Did you use white granulated sugar, packed brown sugar or regular brown sugar? (2) salted or unsalted butter. Thanks in advance.